In 2008, we set out to design the greatest possible intake for the Mazda platform. Two years later, the Aeros was ready to take the Mazda driving experience to the next level. With each spirited drive, the Aeros intake system increases horsepower, improves air flow, quickens throttle response, and screams like a mini jet engine - smiles guaranteed. We use CAD to create the Aeros in 3D digital space. This gives us the highest level of precision and allows us to call for very tight tolerances of +/- 0.003". The model above is the Mass Air Flow (MAF) housing of the Aeros. 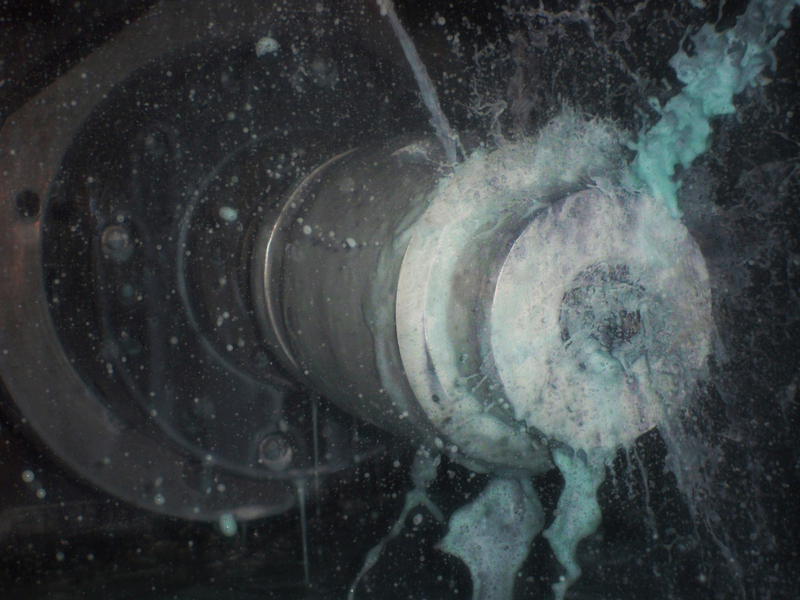 This is the heart of the Aeros in the making. The MAF housing is CNC machined at a high tolerance from a block of 6061-T6 aluminum in a HAAS machining center, right here in the USA. MAF housings before and after the anodizing process. Along with the high quality finish, anodizing increases oxidation resistance. The O-ring creates an airtight seal between the MAF housing and MAF sensor plate. Purple Loctite 545 is used to seal the bolts of the MAF housing. For the most advanced tuning results, our air flow straighteners are the key to a clean MAF signal. So simple, yet so precise. CNC machined from 6061-T6 aluminum, our air flow straighteners are ready for every situation, from normal street use to very precise advanced tuning. The air flow straightener allows for a clean MAF signal to the PCM (ECU) - this is crucial for metered air entering the system. To optimize airflow, the face of the straightener is chamfered to create a blade-like face. Our durable cotton/polyester fabric traps particles as small as 40 microns, and can be cleaned and reused. Wire and nylon mesh wrap the circumference of the silicone; this increases the strength of the hose, protecting it from collapsing in a forced induction intake system. Aluminum tubing compared to our silicone hose. Silicone material insulates induction air from engine bay heat. By restricting heat penetration, we can maintain colder intake temperatures - unlike metal equivalents, which poorly shield from heat. Watch our MAF housing take 45 PSI (pounds per square inch via gauge) or 59.7 PSI absolute pressure. 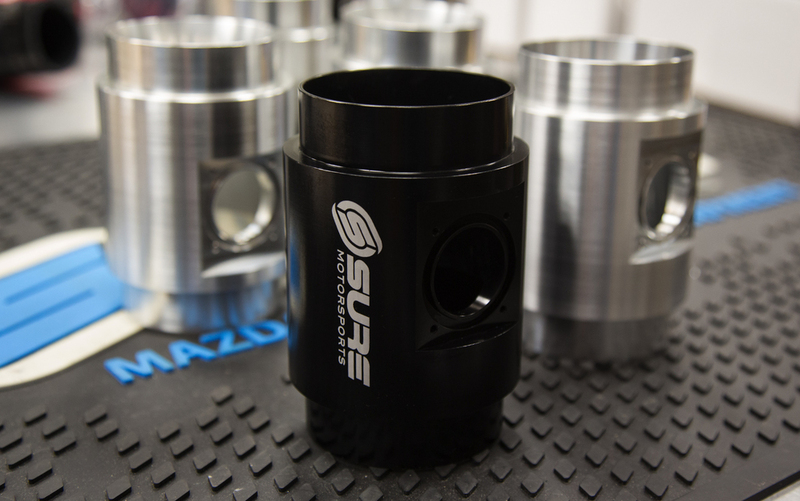 The Aeros SI is our factory replacement intake housing. It can be used with OE or aftermarket turbochargers. It is guaranteed to never cause a check engine light. The Aeros ID300 requires custom tuning. It is compatible with all silicone components of the Aeros SI which makes for an easy upgrade to this larger MAF housing. The Aeros ID325 requires custom tuning. It fits 4" turbochargers without having to relocate the PCM (ECU) or battery. The Aeros ID400 is the first of its kind. Our proprietary dual airfoil design of the air flow straightener creates a clean signal for advanced tuning. It measures 4" ID (inside diameter) from the front of the housing through to the turbo inlet. We are dedicated to the innovation and development of the Aeros intake program. 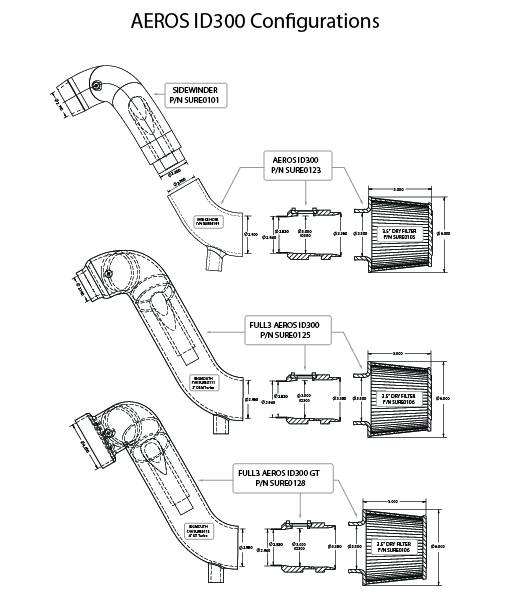 As Mazda continues to produce great vehicles, we continue to grow our applications of Mazda Aeros intake systems. 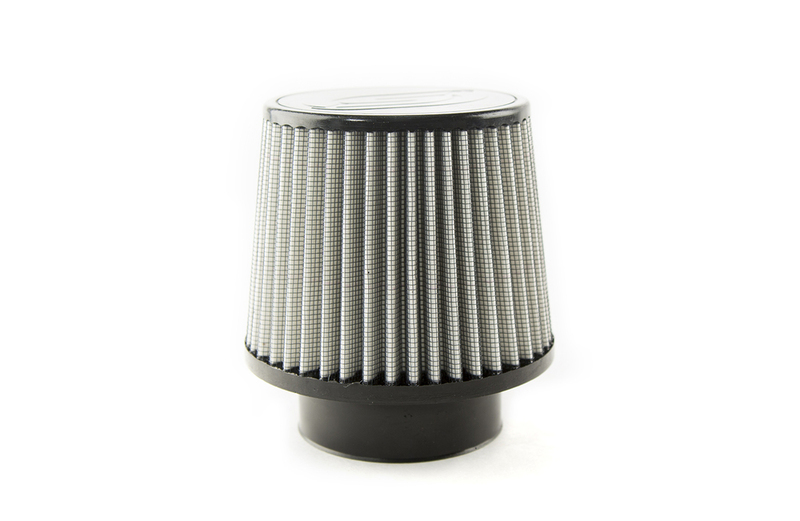 Keep an eye out for the naturally aspirated applications, the ID400, and new filters for 2014. Enjoy the Aeros advantage, fellow Mazda enthusiasts. In April 2011, a design change was made to the Aeros SI MAF Housing. To read about this warranty upgrade, visit the Aeros Warranty Upgrade page. Posted on March 26, 2014 by JATO.